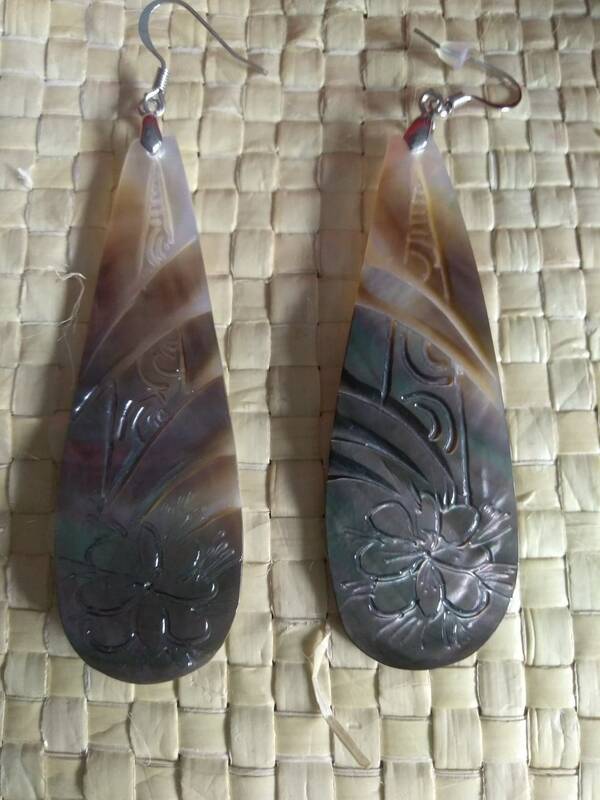 Carved Tahitian Tribal Black Lip Mother Of Pearl Shell Earrings. Great earrings that will last for years ...a wedding, gift. This beauty big measures 2.62"" in length. FINAL SALE! Carved Tahitian Tribal Black Lip Mother Of Pearl Shell Earrings..Perfect For Teens, Adult, A Gift. Large 2" Carved Black Lip Mother Of Pearl Flower Shell Earrings. Perfect For A Gift, For Mom, Birthday Gifts,Wedding, Bridesmaids, For You!! 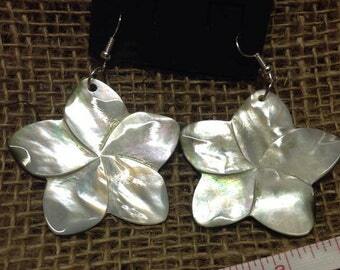 Small Carved Flower Mother Of Pearl Shell Earrings. 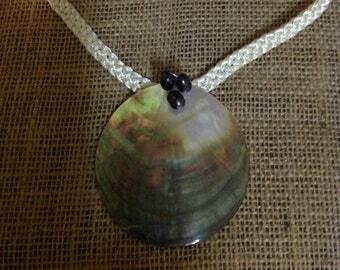 Perfect For Teens, Young Children, Gift, Wedding, Or For You! White Mother Of Pearl And Sea Shell Dangle Earrings..
Carved Mother of Pearl Shell Earrings. Tribal earrings. Simple And Affordable Tahitian And Cook Island Costume Headpiece..Weaved Lauhala, Feathers, Mother Of Pearl Shell And Black Pearls.